This topic scares most people. The thought of it alone can send chills down your spine. Think of it; a demonic spirit or evil entity taking control over your body or mind? It’s a thought that can puzzle even the biggest skeptics, especially since there are many recorded cases. 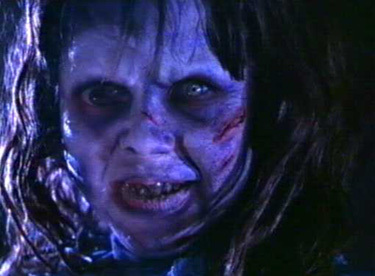 Just watch the movie, The Exorcist and you’ll understand. This topic of discussion can be seen in early testaments in the and actually in other languages as well. This can lead one to believe that maybe there is more truth to the stories than you could imagine. Christianity talks about demons as a sort of angel that fell from heaven to join Satan’s army. Their influence can be vast and deadly. There have been tons of movies over the years about this sort of thing, from The Exorcist, The Omen, The Exorcist of Emily Rose, etc. There is no rhyme or reason as to how or why it happens, but there are documented cases from around the world. The possession of Michael Taylor (Ossett) was one of the most recent cases in England. He apparently killed his wife and strangled their poodle. He was found naked in the street covered in blood. According to records, he spoke in foreign languages not known to him and had openly said he felt violence and evil inside himself. I guess this also brings in the topic of religion and the fact that this alone can keep a heated debate, it makes it even more involved and difficult to discuss. If you are an Atheist, what can you possibly talk about with this topic? You can’t admit to seeing a demon when it’s not in your religious beliefs to believe in it, right? So how can these experiences be explained? The fact that people can speak in languages from a thousand years ago or that someone can bring up facts not normally known to them while in this state raises a lot of questions. One thing is for sure; If you believe in ghosts or the paranormal, the topic of demonology is something rarely seen. So few cases have ever been publicly shown or heard of. With today’s technology, if a real possession was found, wouldn’t it be all over the internet and a YouTube video by now? How come the only cases are hundreds of years ago or before real technology could catch something in footage? It still remains a mystery if this is even possible and if we will soon see a real case, but in either scenario, the 21st century is due!